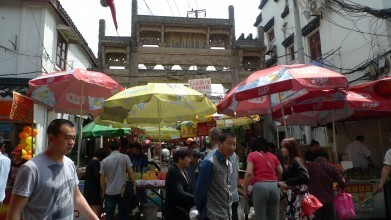 Located in the centre of Old City in Huangpu District Shanghai, Sipailou Road and Danfeng Road have two main attractions. 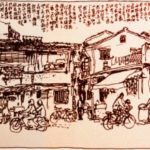 The first is that Sipailou Rd has gathered a lot of street food vendors, while Danfeng Road is the traditional Shanghai blocks just next to Sipailou. Together they are the perfect spot for getting to know the street and food culture in Shanghai under the context of migration and ethnicity. The second reason is that these two road have a special geographical location. This area was once the oldest and poorest part of Shanghai. 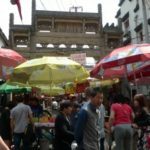 However, with the recent development of Yu Yuan and Chenghuang Temple, which are located nearby, Sipailou Rd has become “small Chenghuang Temple”. As market economy is booming, this narrow road are experiencing huge historical changes. 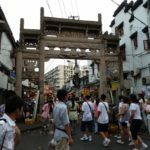 The old Sipailou Rd was under the shadow of old Confucian Temple, while today’s Sipailou Rd is not only the witness of history and past glory, but also the cradle of urban economy and street culture. Such change in Sipailou also influence the old residence halls and the citizens on Dangfeng Road, which are facing tremendous opportunities and challenges at the same time. In this blog, we introduce the origin of Sipailou Road with online research. And through interviews in Sipailou and Danfeng Road, we will present the stories of some street food vendors and local residents, through which we can better understand the history and huge changes from new and diverse perspectives. Virtual Tour around the Sipailou and Danfeng Road in the Old City! The history of Sipailou Rd and Shanghai Confucian Temple is closely linked. Shanghai Confucian Temple is the highest education institution . 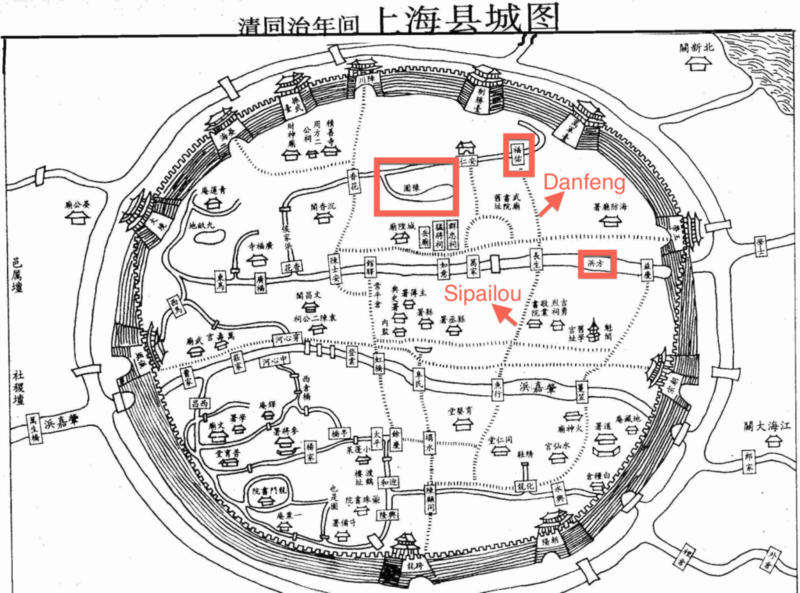 During the Jingding period of Southern Song Dynasty (1260-1264), Shanghai town was set up. And Tang Shicuo, a Shanghai gentleman, built the first Confucian Temple. In 1929, after the arrival of Zhou Ruji, the first magistrate of Shanghai, Shanghai governmenti decided to rebuild Confucian Temple. After Emperor Song Chengzong had established his own country, the government carried out plan for rebuild and it was finished at the end of the year. However, due to the economy depression, the size and construction quality of Confucian Temple was not satisfying. Few years later, the temple started to lean and became shaky. The last reconstruction work happened in the 56th year of Kangxi (1717). During Hongwu Period of early Ming Dynasty around 1937, four Chinese Arches (Pailou/Paifang) attached to the aisle of Confucian Temple, Xuanhua Arch, Chongli Arch, Zemin Arch and Jiqing Arch were built inside of Confucian Temple, after which this aisle was named as Sipailou. This is the origin of today’s Sipailou Rd. In the early fifteenth year of Xianfeng period in Qing Dynasty, the Qing army, together with British and French Troops suppressed the rebels group called Small Knife. This war almost entirely destroyed Confucian Temple. 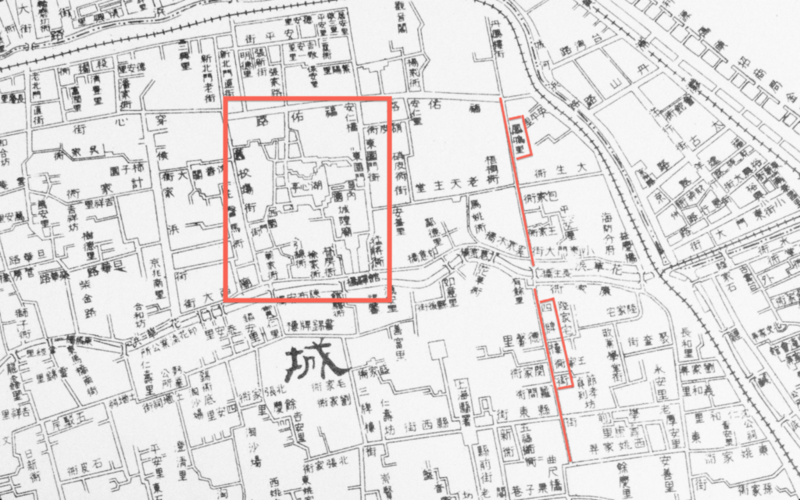 The original aisle of Confucian Temple was later turned into a normal road, which is today’s Sipailou Rd. In 1885, the magistrate of Shanghai decided to rebuild the Confucian Temple inside of the West Gate. The area of new Confucian Temple is 17 acres and the structure is the same as most other Confucian temple. Sipailou Rd was named after these four arches, which carries forward the old culture of the new Confucian Temple. 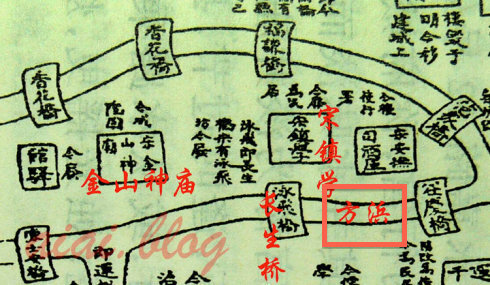 Map of Old City in Yuan Dynasty. We can only observe Fangbang Road. No sign of Danfeng and Sipailou. For the current map, scroll down to the bottom. There is a food map for Old City. Here are stories from two vendors and two citizens. From each unique experience and narrative, we can learn about the change of the streets, the communities and the city in different span of time, through which we look back at the past, reflect on the present, and envision the future.